Tarrago Shoe Cream is an excellent shoe polish with waxes for shining and protecting and conditioners to nourish the leather. 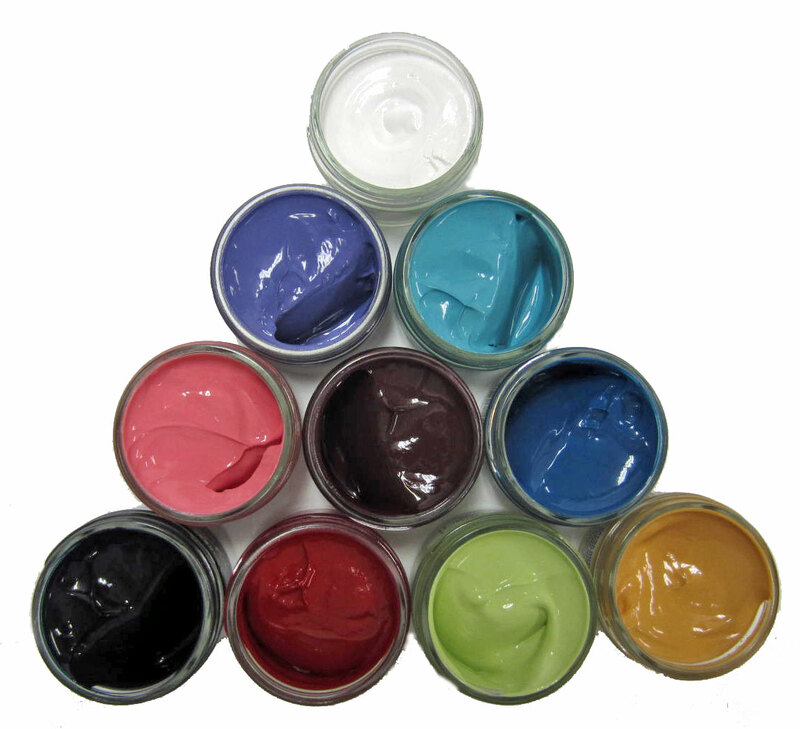 Tarrago Shoe Cream also has lots of color pigment in it to cover blemishes and scratches and the consistency makes shoe shining easy. This color chart was made expressly for The Shoe Shine Kit for our website. This Tarrago Shoe polish is a cream polish. A cream polish has wax in it and conditioners to give the leather a softer feel and a more satin shine. It does have wax in it but not as much as the paste polish. With this combination of ingredients it feeds and protects the leather and brings back the color. Apply the shoe polish with a soft cloth or applicator, let set up for a few minutes and buff with a shoe shine brush. Use a soft shine cloth for the final shine. This can replace the Meltonian Shoe Cream, it just has a softer, creamier texture to it but lots more colors. The Shoe Shine Kit carries over 90 colors of Tarrago Shoe Cream polish. #104 Pastel Blue shoe polish is no longer available.